It has been a long time since I shared my skincare routine. I have combination, sensitive skin. Aged 25 I still suffer from acne so have to look for gentle but sufficient cleansers and creams for in my skincare routine. I use only a few products now to keep it simple and effective. 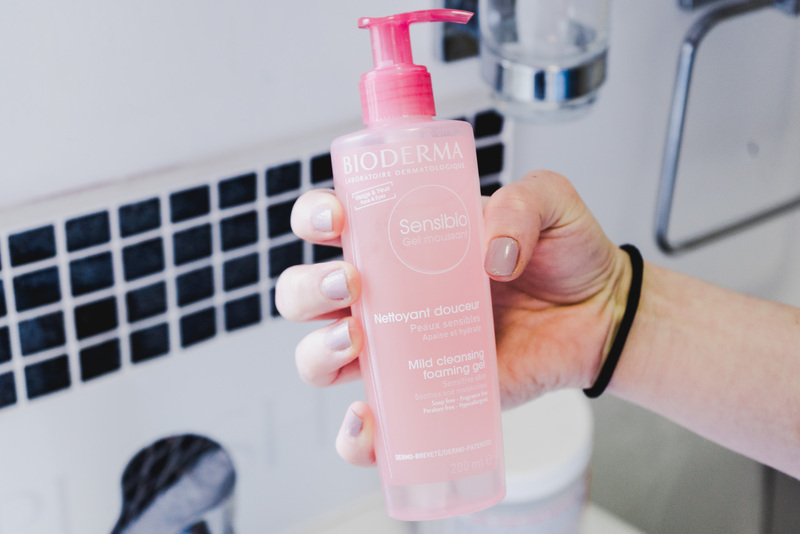 Most recently I have been using the Bioderma Sensibio Mild Cleansing Foaming Gel 200ml. Bioderma micellar water is a big beauty blogger cult favourite, but I am glad to have branched out and tried a little more of their range. 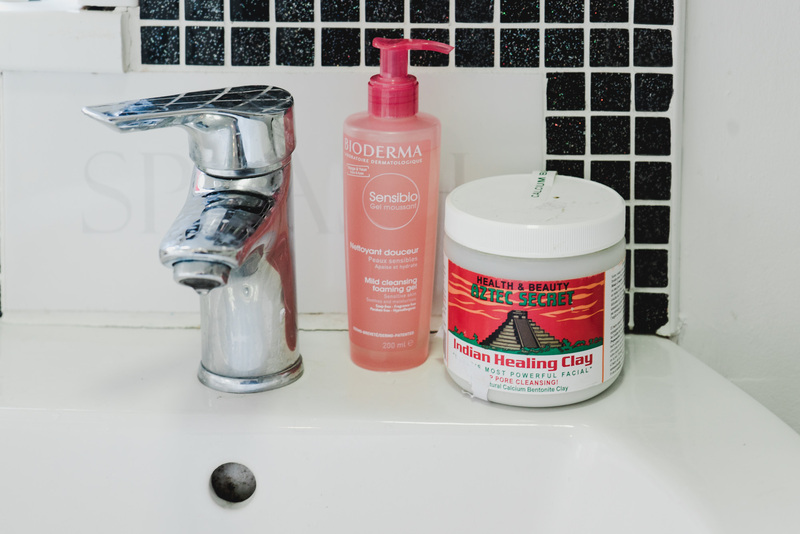 I use the Bioderma Sensibio Mild Cleansing Foaming Gel in the morning as well as in the evening to gently remove my makeup. The gel is applied to wet skin and foams a little – it is so gentle and leaves my usually red and sore skin calm, soothed and makeup-free. It is very mild and is helping my dry winter skin as the gel ‘works to reinforce the skin’s tolerance threshold and hydration’. Very quick to use it has been working wonders on my sensitive skin as it is Fragrance-free, soap-free, paraben-free, colourant-free, hypoallergenic, and non-comedogenic. 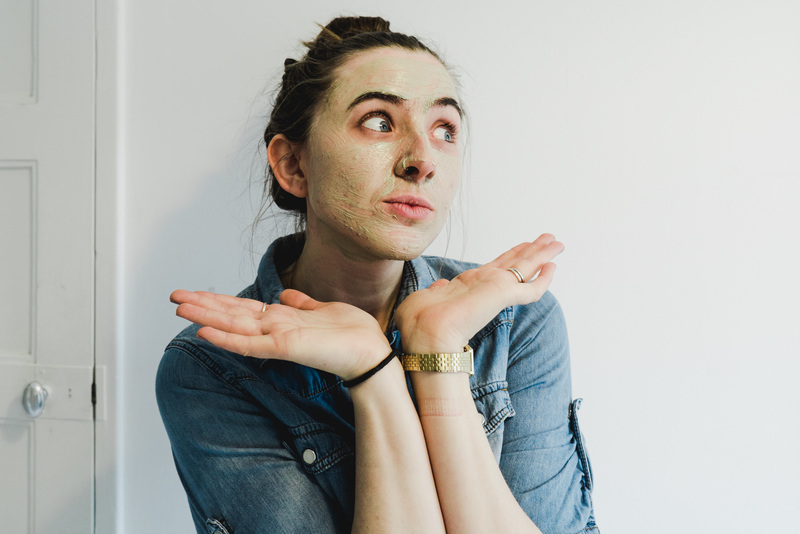 My skin can be both dry and oily at the same time – somehow! It is so important to moisturise to protect and nourish the face, neck and chest. My products of choice are the L’Occitane face cream and moisturiser as they have an entire range of moisturisers designed for your face care regime and use natural ingredients. Their face creams are light on the skin and also offer SPF protection. Last Christmas my Mum found something on Amazon that had fantastic reviews, and she was fairly sure it was something even I, as a beauty blogger, hadn’t tried yet. 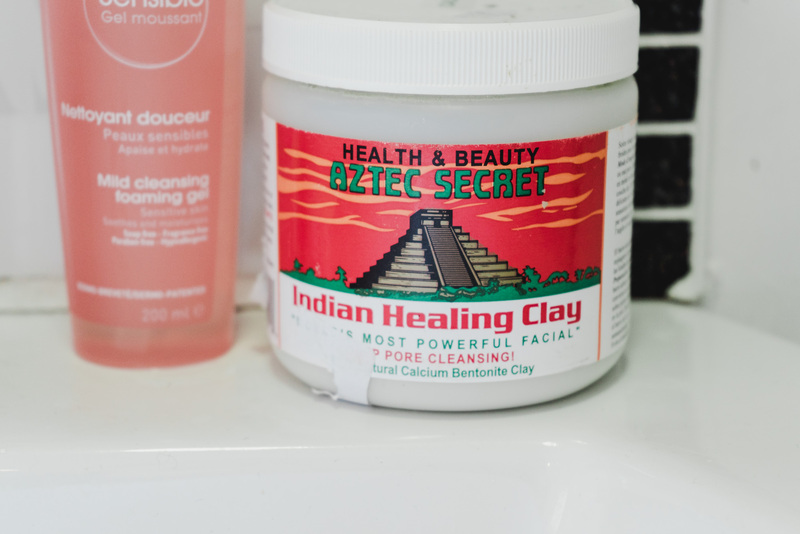 The Health and Beauty Aztec Secret Indian Healing Clay claims to be the world’s most powerful cleanser. 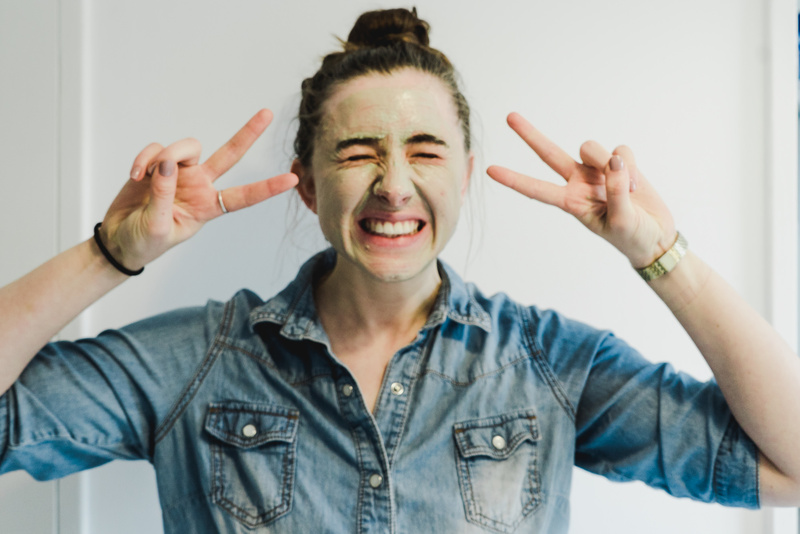 The face mask is 100% natural calcium bentonite (green) clay. It comes as a powder in a ginormous tub so will probably last me and my husband a year, even using it both daily. 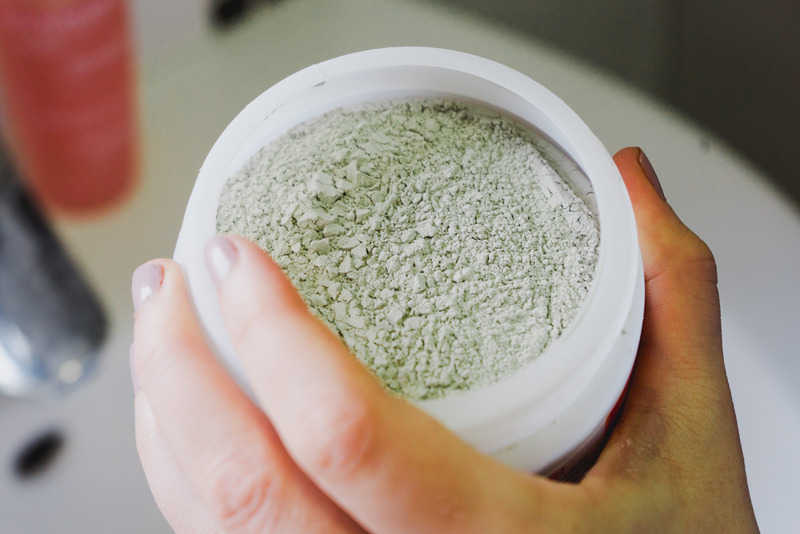 There has been no animal testing, no fragrance, no additives – just sun-dried green clay. I use the clay on an evening with a little water and leave for 10 minutes or so and then wash off. It has been doing wonders for my skin, and I must keep up using it frequently! 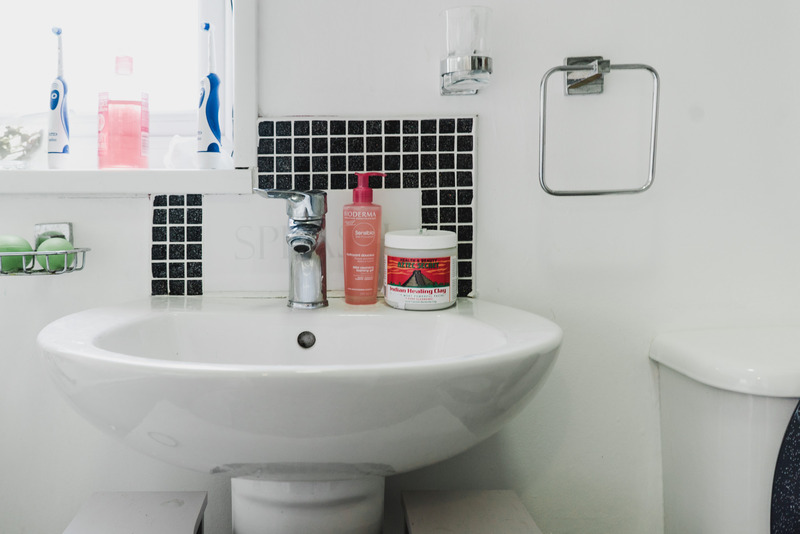 So there is my very simple, limited, reduced skincare routine – it is working for my acne prone skin at the moment!